LeapWebHosting Review 2019: Is LeapWebHosting a Good Hosting? LeapWebHosting is a Panama-based company that offers domain registration services, competitively priced web hosting, reseller hosting packages, and dedicated servers in partnership with PhoenixNap. With Datacenters in the U.S., they serve clients from all over the world. Founded in 2008, LeapWebHosting provides low-cost but high availability shared hosting packages, dedicated servers, and reseller packages to customers in Panama and around the world. They leverage enterprise-grade and Xeon-powered servers that are on colocation in the U.S.
With their cPanel-powered shared hosting accounts and VPS, you get a number of features that will help you manage your websites and web space as whole. Here are some of the key ones. In order to give an uptime guarantee of almost 100%, LeapWebHosting uses enterprise-grade and SSD-powered servers that run on Xeon, which enables them to deliver the best performance. On top of that, they have onsite network engineers who monitor their servers and networks 24/7 and maintain their stability and uptime too. When signing up with a new host, most customers want one of these two things; a user-friendly admin panel or a familiar environment. LeapWebHosting accounts run on cPanel, one of the most popular and powerful administration panels in the web hosting space. It’s easy to use and contains a suite of tools that lets you manage your website, databases, emails, apps, and security from a central place. Another thing that is quite impressive and worth a mention is their fast hosting set up time. Once you register and pay for your hosting package, they will activate your hosting account within five minutes. 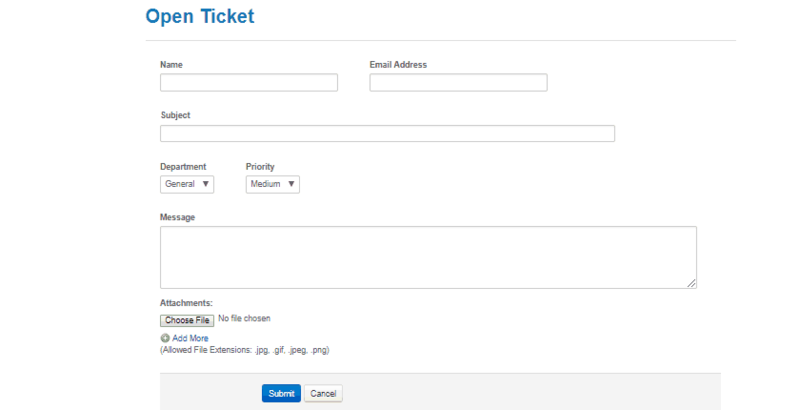 You don’t have to wait for support to approve your new hosting account; it’s automated. This is a plus for anyone who wants to create or transfer their website the same day. LeapWebHosting has fairly and competitively priced shared hosting packages. I like the fact that they don’t ambush customers with hidden fees during checkout and on top of that, they offer flexible payment options such as PayPal, Visa, and MasterCard. I would advise you to sign up for their annual plans as they’re cheaper than their recurring monthly plans. From time to time they also issue discounts, so be on the lookout. Scaling up is as easy as selecting and paying for the next higher level plan. When you upgrade, you will unlock more storage space and ramp up your speed too. Small companies almost never disappoint when it comes to handling customer queries and resolving hosting issues. Available 24/7, the friendly support team at LeapWebHosting provides timely help and quick responses via their online ticketing system and email. They also have a knowledge base with “How-to” types of articles that cover topics related to cPanel and Softaculous as well as answers to general and technical questions. Small as it is, LeapWebHosting delivers value to their customers through low-cost but stable web hosting and personalized support round-the-clock. 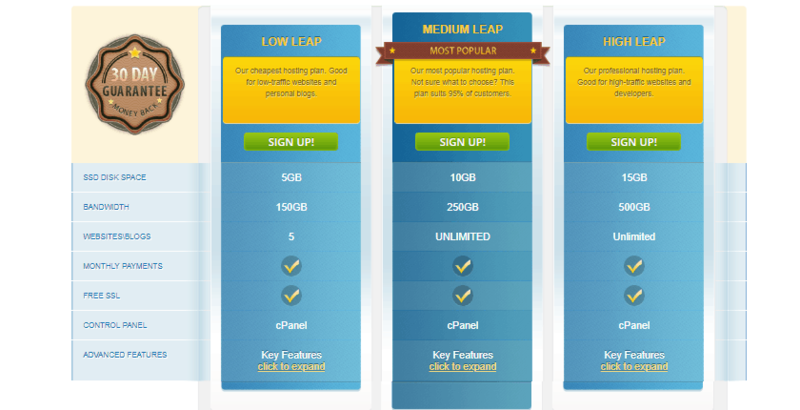 Wondering how LeapWebHosting stacks up against other Web Hosting companies? Enter any other Web Hosting company and we will give you a side-by-side comparison.